On this day two years ago, Scaled Composites pilot Mike Melvill flew SpaceShipOne to space, the first of two flights by Burt Rutan’s team in pursuit of the $10 Million Ansari X Prize. Happy Anniversary Mike and fond regards to everyone at Mojave Airport / America’s first inland spaceport! Dear Anousheh I miss you very much. Congratulations Anousheh! The magic continues – see you at the X PRIZE Cup! be onvane yek irani be shoma eftekhar mikonam. hey! we drove three days to see that one!!!!!!!! that was the best! and on the way back, we hopped onto the last steam engine ride in the mountains in history. a beginning of something new, and an end of a lifestyle that forged america! may space flight truly be the new frontier that takes us beyond our limits! I would like to attract your attention to Methuselah Mouse Prize (mprize.org), an anti-aging research prize, which has been modelled after your X Prize. Hope that you can raise the name of Iran by supporting that groundbreaking research too. شوق و هیجان برگشتت از یادم برد که به خاطر برقرار کردن ارتباطت در تاریخ 11 سبتامر با شبکه 4 تلویزیون ایران بصورت زنده ، اونم تو اون شرایط قرنطیه که بودی ، چه افتخاری نسیب ایران کردی. بصورت زنده صدات را میشنیدم از برنامه آسمان شب و هیجان تمام وجودم را گرفته بود . گفتی شاید زمان نوه هات این هزینه این سفر به 1 میلیون دلار کاهش بیدا کنه و سالها بعد به 10 تا 15 هزار دلار…. در این صورت مسلما در ابتدای یه مسیری آینده ساز قرار گرفتی و رفتار و گفتارت از حساسیت خواصی برخوردار خواهد بود . امیدوارم به نحو احسنت این حساسیت را درک کنی و راه برخورد صحیح به اون را درست تشخیص دهی . به شخصه نکات جالبی را از رفتار و گفتارت برای خودم به یادگار دارم که منم امیدوارم درست بتونم اونها را بکار بگیرم . انشائ الله در فرصتهای آینده…..
bazgashte piruzmandane va sarafrazane shoma ra be zimin shadbash miguyam. hamishe sarboland va kamrava bashid. I was telling someone today about your voyage and I said that your blog entries were the most descriptive I have ever read about space travel. And I have followed the space travel since the Gagarin and Shepard flights when I was in FIRST GRADE (sigh). Anyway, glad you got back to earth safely. And thanks to the Russian space program. I have always wanted to voice my praise for the Russian Space effort. Why does NASA not send private citizens into orbit? Because they DONT have a spacecraft safe enough!! The SOYUZ may not be fancy or roomy but it’s been “doin it right” for over 30 years, and is probably the most reliable “staffed” spacecraft ever built. Thanks to the Russian Space Program and President Vladimir Putin. Congratulations to Burt Rutan, a genius whose implementation of vision into engineering has given every individual on Earth the license to their own wings. Congratulations to Mike Melvill and Brian Binnie who went first, and who flew our points of view to see the curve and breath of the beautiful blue planet we share. Congratulations to Dr. Peter Diamandis, who has given a platform and arena to humankind’s best minds and dreamers, and who lived up to true leadership by repeating positive history through the creation of the X Prize, a successful template of harnessing competition toward positive advancement for all. To the Team at Scaled, the Ansari’s, the Lindberghs, you have honored all who came before, every mother who has given birth hoping for the best possible tomorrow for her children. The words Happy Anniversary, Thank You, Congratulations are pale, but I join many in saying them with all my heart today, and you are celebrated in the future and in forever. Thank you for paying the highest honor to the word and what it means to be human. Wife and I have enjoyed reading your blog, very nicely written. This past summer we had the pleasure of meeting Burt Rutan and Mike Melvill at EAA’s AirVenture 2006 airshow in Oshkosh, Wisconsin. Plan to attend this coming summer. ورود پرافتخارت به اين كره آبي را تبريك عرض مي كنم و بسيار خوشحالم كه به عنوان يك ايراني در اين شادي بزرگ شريك هستم. لطفا اگر مطلب فارسي از سفر روياييت داشتي برايم ايميل كن تا براي طرفداران بيشمارت در وبلاگ خودم و بقيه دوستانم بگذارم. Hi, Wellcome back Dear Anousheh, Anousheh AZIZ BE KHANEH KHOSH AMADI. Hope you are successful in your life… And hope that All Iranian do such honorific things in the future and change the mind of the world about us. Lots of kisses and embraces on behalf of all Iranians. Would love to have more in-depth experiences narrated by you…|! زادگاهت ، کره خاکی زمین ، تبریک عرض می نمائیم. 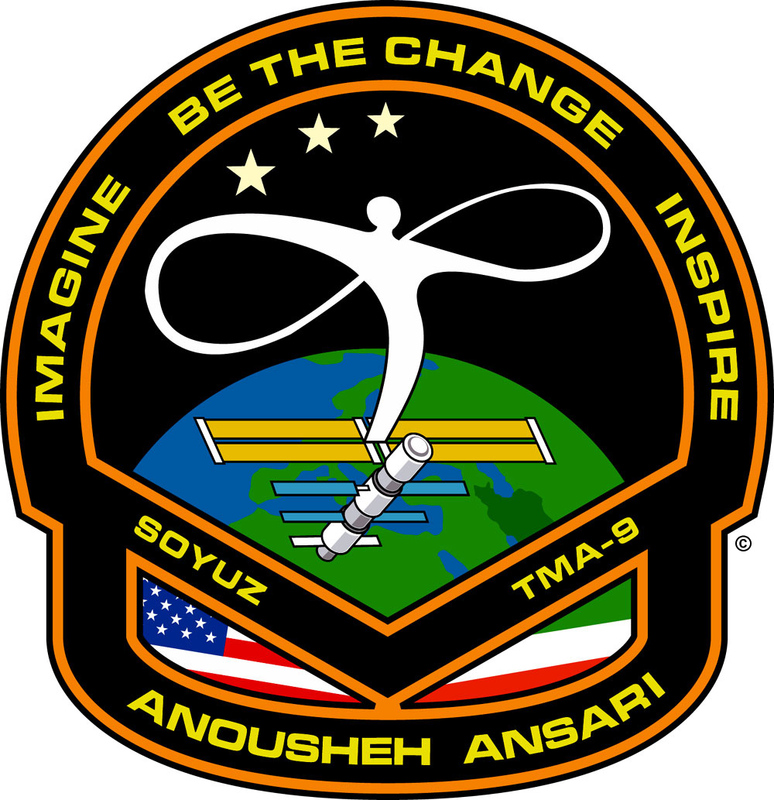 Congratulations to you Anousheh for your inspiring space trip, and also for reminding the world about the Ansari X Prize, which really was actually even more of an accomplishment than this space trip you just took.. It’s always going to be only the very, very special who go to space when there’s only one place up there and only very expensive and rare ways to travel. I’m happy you got to go to the space station and take us all along in our imaginations, but it will be a much happier day when there are many more space ships and many more places for them to go. So this was a fun event, for you and for us who got to read about it and see your videos, but honestly the Ansari X Prize was even more inspiring — so when you’re back on Earth hope you’ll still remember that the space travel problem really isn’t solved yet. but why did u say ”unfortunately i cant speake farsi”!!!!! i have seen ur interview with Iran’s channel 4…u spoke persian really fluent…we really expect u to speake at least one sentence in farsi…ok..never mind…next time.. god willing. سلام و خسته نباشید. بازگشت موفقیت آمیزتان را به زمین تبریک می گویم. شما باعث افتخار ایرانیان هستید.با آرزوی موفقیت و شادکامی برای شما. my name is afshin &from IRAN well com to Earth !!! beazr farsi begam raht taram vaghan shoma base eftkhare IRANID omid varam roze be IRAN biaid!!! I think it is such a disgrace to spend millions of dollars on a “space trip”, when there is so much poverty and suffering all around the world. Instead of going to space, she (and all other space tourists) should have donated that money to a charity or use it for good cause herself. $20m could have changed a lot of lives in Africa or other parts of the world. I personally believe this madness (so-called space tourism) should be banned! بازگشت غرورانگیزت را تبریک میگویم. ba salam va khaste nabashid khedmate anoushehie aziz. nemidonam chetori sare sohbatam ro baz konam fagat ino migam ke vagti be safare fazaei rafti va bargashti sar ta pa ehsase goroor mikardam ke 1 hamvatan dast be 1 hamchin kari zade. cheshmam az shadi ashk alood shode bod.kheili behet eftekhar mikonam.samimaneh behet tabrik migam va arezooie salamati bara khodet va khanevadeie mohtaramet daram. dostdarat amir ali safabakhsh az zanjan. congratualtion and welcome back to Earth! I have read once a very nice interview with an austrian astronaut. He was describing the feeling he had when he saw the protective ozon layer for the first time. He realized how thin it was in relation to the atmosphere and how fragile it was and how well it must be protected. He said it was then when he became an environmentalist. He also said that most of his collegues had become strong protecters of the environment after they had flown to space. congrtulations to you Anoosheh !!! conguratulations For your inspiring space trip. در ضمن در این مدت 10 روز من چند ساعتی از سفر پزوهشی شما را بر روی نوار ضبط کردهام که اگر مایل باشید میتوانم تقدیم حضورتان کنم. va dar raahe hadafet ostovaar…. to answer favorably, by advance, thank you very much. enrich this collection, thank you. Can you, please, send me your photo, , thank you very much. hope too that you will be able to answer, thank you. all her heroes, like you, Dear MS Morgan, by advance, i thank you very much. With my best wishes and congratulations !!!! ممنون که با نوشته هاتون از سفرتون وجزئیات ما رو مطلع کردین. و بازگشتتون رو تبریک میگم. Welcome back to gravity ! از این که نام ایران را در تمام دنیا سرافراز کردید بی نهایت سپاس گزارم و برای شما آرزوی موفقیت میکنم. You have inspired the world, and on behalf of the 20,000 members of the National Space Society around the world, we say thank you, thank you, thank you! You have shared with us the inside story of spaceflight, opening a new window on an experience that we have long dreamed about. Your messages made us feel in some way that we had gone up too, and we will forever be grateful for that glimpse. Now, we urge you to continue your work and efforts to communicate the transformational potential of spaceflight to the world. You truly are a space ambassador, and the world will listen to you. Congratulations on an amazing, awe-inspiring flight, and Ad Astra!! salam bar banuye sarfaraze iran, anousheh ansari. shekastane rekorde dur shodan az zamin dar miane iranian va zanan ra be shoma khanom mohtaram va shojae irani tabrik miguyam. تو دلم همه آرزوهامو بهت دادم تا ببری اون بالا حالا که سلامت برگشتی احساس میکنم خودم هم اونجا بودم. پاک ترین و صمیمانه ترین احساس های دوست داشتنیم تقدیم به شما خاله خوبم. as a living thing you are so lucky to go up there and see the planet earth is round, too bad for humans they didn’t continue to go and settle on the moon. Going on the moon and watch the earth from there, only then you will be full happy and say for real you have been in space. So, Do IT ! congrats and welcome back. You are an inspiration to young and old. We look forward to your continued future endeavours and accomplishments. Your courage and actions are admirable. You make us Iranian Americans very proud. We hope you write down for us what ispires you and how you have accomplished so much so soon. We were there that day! I had brought a friend of mine that I was trying to get off of drugs (an attempt that ultimately failed… 😦 ) But that day, she looked at me with her eyes shining and said “This is better than any amount of meth.” Thank you so much for sponsoring the X-Prize and helping the future of space flight, and giving me that amazing moment with people I loved. JUST I CAN SAY , It is my pleasure that I am writing message in your blog . You are a really wonderfull women and please help to Iranian women to belive theirselvs… . Seeing Iranian flag on your uniform made my eye tearful. As an Iranian I want to say thank you for what you have accomplished and I am sure you didn’r spend that money only for making a personal dream come true. I bet sending our flag to the highset place ever was one of the reasons for you to do this. Anyway once again I want to thank you and I am so glad that you and your mates came backto earth healthly. ارتباط بر قرار کنم نتوانستم و خواستم با این نامه حرفهایم را برای شما بنویسم . طرف همه فرزندان ایران از شما تشکر میکنم . از طریق هیچ سایتی به طور مستقیم برای شما بنویسم . که هر چه بهتر و زیبا تر به رویای کودکیتان برسید . همه روز در وب سایت ها در مورد شما می خوانم و سعی می کنیم از شما تلاش را یاد بگیریم . برسد که شما را در پایگاه فضایی روسیه و حتی ناسا ببینم انشالله . و در آخر باید بگوییم خانم انصاری شما الگوی از کاروتلاش برای همه دنیا هستید . مرا ببخشید که به زبان فارسی نوشتم . شما هستیم و خواستم با نوشتن این نامه به همه تلاش ها و کوششهای شما تبریک بگویم .